Are you starting a family and looking for ways to save BIG when it comes to raising your baby? Do you feel overwhelmed by the big ticket items that are on all of the baby registry checklists? 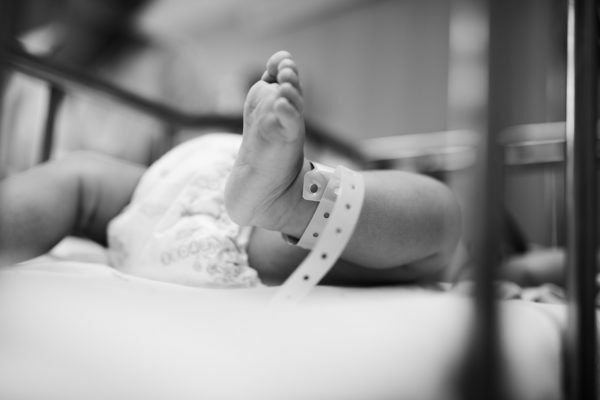 Did you know that according to a 2010 USDA report, the average middle-income family will spend roughly $12,000 on child-related expenses in their baby’s first year of life? Whoa!!! Raising a baby on a tight budget doesn’t have to be difficult. I am going to show you how to do it under $2,000. If you haven’t had a chance already, please check out my post on How to Have a Minimalist Baby. It was the reason I was able to raise my second son on a very tight budget and helped me become debt free! These are the bare minimum items needed to raise a baby in the first year. There’s really no way getting around them. Some may argue that it is extremely minimal, well it is. Not everyone can do it. But, it does give you a place to start. From there, you can pick and choose which convenience items you wish to have based on your lifestyle and budget. This is the number one thing you will need for your baby. No if(s), and(s), or but(s) about it [insert mama bear voice]. But, you don’t need that $299 car seat either. Many car seat experts will tell you, all car seats undergo the SAME regulatory safety inspection and is marked either a pass or fail. This means that a $300 car seat is just as safe as a $70 car seat if they both have a perfect installation. The hefty price tag doesn’t come in the form of more safety, it comes in the form of all the bells and whistles you have. These things include cup holders, extra padding, headrests, seat belt covers, ect. For maximum savings, chose a convertible car seat from the beginning. That way, you won’t have to shell out more money when your 10-month-old outgrows the newborn car seat. On a saving money note: Please DO NOT purchase used car seats. You have no idea if the car seat was involved in an accident, fender bender, or dropped from a high level. Also, you don’t know how well it was cared for. Feeding your baby can happen one of two ways, well 3 ways actually. But, I will discuss the most popular methods. You can either chose to breastfeed your baby or formula feed your baby. Many mothers usually start out breastfeeding their babies. It’s the most natural and is the best choice when it comes to feeding your baby. However, some moms just don’t want to, or they can’t, and that’s okay. It’s not for everyone. Breastfeeding is SIGNIFICANTLY cheaper than formula feeding your baby (unless you are low income and get it free from WIC). The savings from breastfeeding was a huge driving factor to keep me going when I wanted to give up. Unless you breastfeed exclusively, are with your baby 24/7, and never stray then chances are you’ll need bottles. I recommend getting 4 at the very minimum, max 8. Pro Savings Tip: If your baby can drink from the bottles that are compatible with your pump, then you’ll save even more. Having a bottle brush is paramount in cleaning your bottles. Sometimes, you forget to rinse out the bottle after baby eats or maybe you found that long lost bottle under the bed, yuk. A washrag or dish towel wont get to the bottom of the bottle to clean effectively. I suggest investing in a quality bottle brush here. The cheaper ones actually fall apart and fray easily. Trust me on this one. I have this one and I haven’t had to replace it yet after 1 year and it comes with a replacement head brush. Contrary to popular belief, breastfeeding is NOT free. I mean unless you are super woman with a rock solid milk supply and never stray from your baby, like ever, then you’ll probably spend some cash on breastfeeding tools. If you have insurance, most companies cover the costs of a breast pump. I was able to get my Spectra 1 for FREE through my insurance! All you have to do is call your insurance and they will give you a few websites to visit to browse the pumps. Once you choose the pump you want, the website company will work with your insurance to cover the costs. Most companies will let you order the pump 30 days before delivery to 30 days after delivery date. It is recommended to change your pump parts every 3 -4 months. Read your pump’s manual to see what the recommendation is for your pump. Don’t forget about this extra cost, it can creep up on you if you don’t budget right. Some women leak breast milk during their breastfeeding journey. Some more than others. This is especially true in the beginning months. I remember while I was working one night, I heard the sound of a baby crying in the waiting room. Immediately, the cry of the baby initiated a let-down. Ahhhh. Luckily, I had the pads in. Pro Savings Tip: Purchase cloth breast pads for maximum savings. You can re-use them over and over. Just throw them in with your normal laundry. If you are a working mama, you’ll definitely need some storage bags. There are a lot of factors in determining how much you’ll need. How often do you pump? How often do you work outside the home? Do you work? What is your breast milk stash goal? For computing purposes, I’ve used my situation to come up with a number. I work 3 nights per week, I pump 3 times per shift (3 bags). 100ct goes for $13.25 on Amazon. 3x3x52= 468/100= 4.68 boxes. Round to 5 x $13.25 each= $66.25 for the year. I pump a fair amount of times compared to other moms, so I don’t anticipate you needing a whole lot more than this. If you are a low income or don’t have insurance, you can apply for AHCCCS (a medical assistance program). You would also qualify for WIC (another assistance program for women and children under 5). If you qualify for any of the above, then formula would be covered for you. But for those who make just a little too much money to qualify for assistance, you’ll have to fork up the money yourself. And it ain’t cheap. This was one of the BIGGEST reasons for me trying so hard to be successful when breastfeeding my children. In my research, the cheapest can of formula was $17 and the average was $27. You will most likely go through 5 cans/tubs of formula per month. God forbid your child needs special soy based formula or gluten free or organic, then you can add another $10-20/mo on top of that. The total comes out to $1620 for the year. At 6 months, your baby will start to learn to eat solids. The cheapest and easiest way is to give baby what you are eating. It’s called baby led weaning. Essentially, you give your baby real food in sizes manageable for him. Now, if you takeout food often or eat Ramen frequently, then I would not suggest BLW. You want to give your baby nutritious meals. I have done a mix of BLW and making my own purees. It saves a TON of money compared to buying jarred baby food. Let’s take a look at the price difference. Earth’s Best Organic Jarred baby food is $10 for a 12pk. Assuming that baby eats about 2.5 containers per day (let’s be honest, are you really serving 3 meals per day everyday?) then the total cost for 3 months would be $70. When your baby turns 9 months, you’ll transition to thicker foods and would probably start to buy the pre-made meals which go for $15.84 for 8ct. Let’s also assume that you’ll serve 2.5 of these per day. The total for another 3 months is $150. That makes the grand total of $220 to feed your baby when solids start. Diapers are another absolute necessity. There are two types of diapers you can choose from, cloth diapers or disposable diapers. First, let’s talk about cloth diapers. Cloth diapers are super economical, not to mention they are GRRRRREAT for the environment. In a year’s worth of time, you can spend about $410 over the span of two years. If you like to see the juicy details about how I reached that number, I wrote all about it in this post. Now, let’s talk about disposable diapers. In the same post mentioned above, I have come to the cost of $969/yr. However, there are ways to save on disposable diapers such as couponing, buying in bulk, stock piling, and knowing which diaper fits your baby best. Luckily, my babies have not had any sort of reaction to any diapers so I tend to get whatever is on sale. I have been able to get diapers for $2.50 per jumbo pack, more on that another time. Wipes are SO handy. I actually still use wipes for my older kids and to be honest, I have no idea when I won’t stop buying wipes. 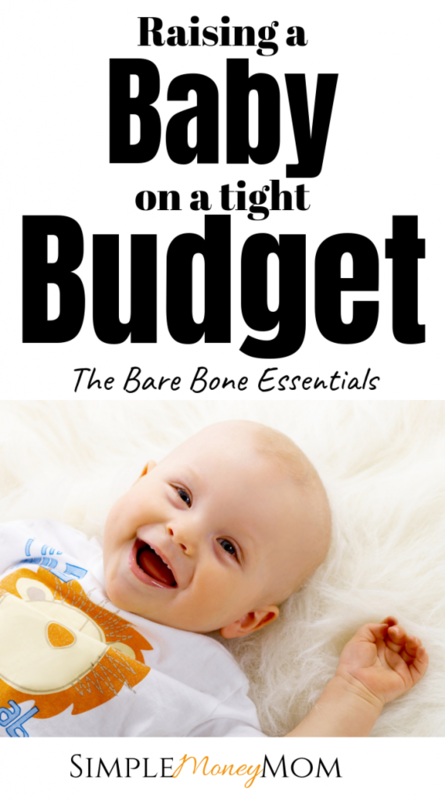 If you are set on having a baby on a tight budget then you’ll need to some research. It IS possible to get wipes for FREE. It won’t happen often but if you pair deals, coupons, Catalinas, and rain checks, then you may be able to walk out with a steal of a deal. 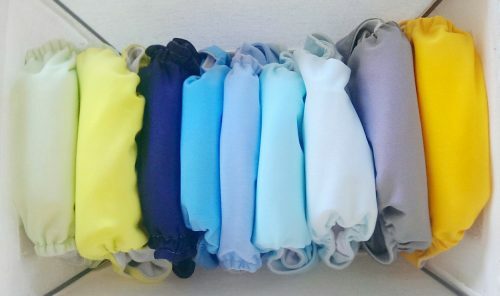 If you choose to use cloth wipes, you could purchase washcloths. Or, be super frugal and just use old clothes and towels you don’t use anymore. This is a huge lifestyle decision. If you tend to be a fashion mom who wants all the latest trends, then your WalMart budget just won’t do. If you are true to yourself and stick to your budget, children’s clothes should be fairly easy to find deals. One of the ways you can save on children’s clothes is to have a minimalist baby. You can find children’s clothes in a variety of places such as yard sales, online yard sale groups, Facebook Marketplace, online consignment shops like Swap.com, and local consignment shops. You can also save a TON if you save clothing from your previous babies and baby showers. I have found the cheapest rate for baby clothes to be .25 per item (yard sales). The most I will pay for an item is probably $4. Always shop clearance sections. The goal here is to save money on your baby. We will take the average of $2.13 per item. Over the course of 1 year, a minimalist baby would need approximately 200 pieces of clothing. Assuming that you buy every piece of clothing yourself and don’t have any hand-me-downs or clothing from a baby shower, you can spend $426 on clothing in the first year. 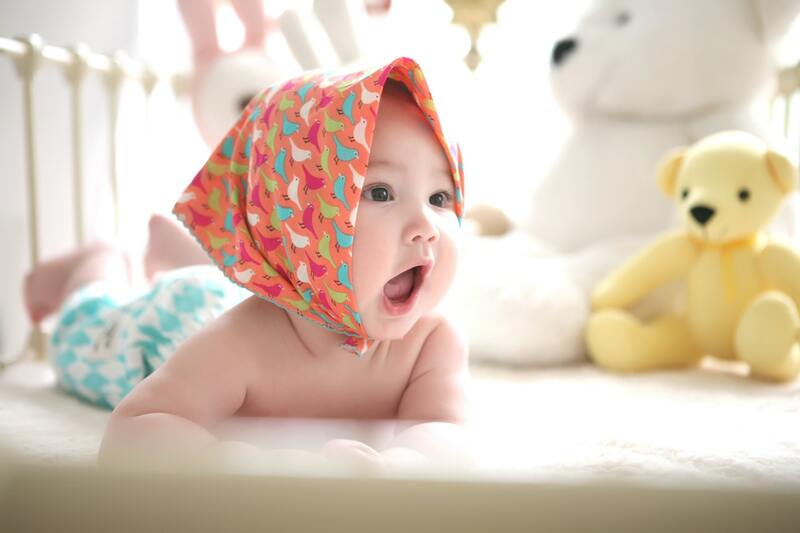 When it comes to health and hygiene, there are a few must-haves for your baby. Obviously, you won’t want to use your own shampoo and body wash on your baby, unless you use an all natural and super gentle wash like Dr. Bronner’s. Then, you won’t have to pay a thing. But, not everyone makes their own soap so I’ll include the cheapest set I found on Amazon for now. You can use washcloths that you already have around the house. Make sure it is complete with nail clippers, a nail file, nasal aspirator, and a comb or brush. Every parent needs a thermometer. First, you’ll never know when your baby might get sick. He is bound to get sick at least once in his first year. Second, vaccinations can cause fevers and you’ll want to know how high your baby’s fever is before you medicate. I love the Exergen Temporal thermometer, it’s a lot more accurate than other ones I have tried. When your baby gets sick, one of the first things that I plug in is the humidifier. Misted air is extremely helpful in breathing efforts as the moisture loosens up the secretions. It is a definite must in the health department. While these are items that you COULD go without, they definitely make it more convenient and are included in the list of things needed if you are having a baby on a tight budget. I used the our crib extensively with my first son (Optimus), he was in his own room by 3 months of age. When my second son (Bumblebee) was born , I never used the crib. It was literally the biggest laundry basket I’ve ever had. Now that I have had my third son, I am using the crib part-time. While, you need a place for the baby to sleep, you can certainly do without a crib by co-sleeping. Co-sleeping is FREE. We received a playpen for our first baby shower. We used it quite a bit with Optimus, taking it to family gatherings and lugging it to and from the grandparents’ house. However, the only time we used this with Bumblebee was when we first brought him home for the first 3 weeks. Then we put it away and never used it again. With Dino (my third son), I am finding myself using this more and more again. Mostly for placing him somewhere to play since he doesn’t like the bouncer. I have recently started to place him in the guest room in the playpen as part of our sleep training, so I’ve come to agree that this is an item that is useful, even as a minimalist. In the first year, your baby will LOVE to be held. I HIGHLY suggest purchasing a baby carrier. We have a few, the Boba for the first 3-6 months, a couple wraps, and a Tula. While, I certainly don’t need all of these, I definitely would suggest one. Other options like the Ergo and Lillebaby are viable options as well. Having a carrier makes you hands-free to be able to get that laundry done when you just can’t put baby down. Strollers come in handy when you anticipate going out for a long time. Or when baby starts getting into that phase where they don’t want to be carried, like mine did at 10 months. But, you don’t have to splurge for the latest and greatest stroller. A simple umbrella stroller will do especially if you don’t don’t use it often. A teething necklace is helpful when out and about. Not a must-have but definitely handy. I have a simple silicone necklace that Dino gnaws on when I’m holding him. If you have washcloths, just stick them in the freezer. Those work well too. This one is high on my list. While it would be very minimal to not purchase a high chair for baby, it would also be very time consuming and more work if you were to hold baby while you cooked or while they snack and eat. When will YOU eat? Now, you want to have a baby on a budget, right? Consider buying used or buying a portable high chair instead of the fancy bulky ones. Eventually, you’ll want to teach you soon-to-be toddler how to eat with a spoon and fork. But, it probably won’t happen until AFTER they turn a year old. Toddler-sized forks and spoons are helpful because they are just the right size, especially when they are learning. I stopped using child size utensils after 2 or so. I actually lost most of them, and decided not to buy anymore. My kids eat with regular sized utensils. I do plan on purchasing 1 pk of baby utensils when Dino becomes interested in utensils however. Well, there you have it. For all of these necessities, you can plan having a baby on a tight budget for a grand total of $1604.18 if you purchase a crib and pack n play in addition to a stroller and carrier. Besides the clothes, all of these items are NEW. If you decide to purchased used, your total will be even less!! Should you choose to forgo any of the above items, you can save even more! Compared to the $12,000 I’d say it’s a heck of a deal. Please let me know in the comments if there is anything else you’d like to add or delete. I’d love to know. Plus, don’t forget to save this post on Pinterest! 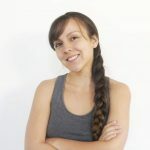 I have a 5month old son and this post is exceptionally helpful, thank you for such great tips! You are so welcome! Enjoy your baby mama! It goes by so quickly!